To be honest this cake could have been quite a disaster. 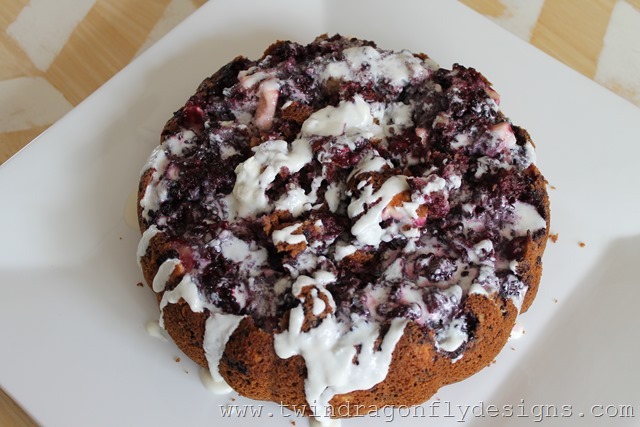 I had intended to create a cake filled with fresh blackberries and yummy bits of cream cheese. 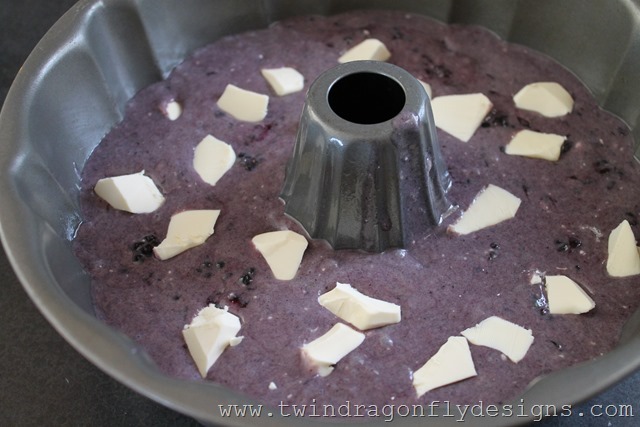 But when cooking in my bundt pan all of the berries sank right to the bottom. And when I flipped the cooked cake over the bottom fell apart. 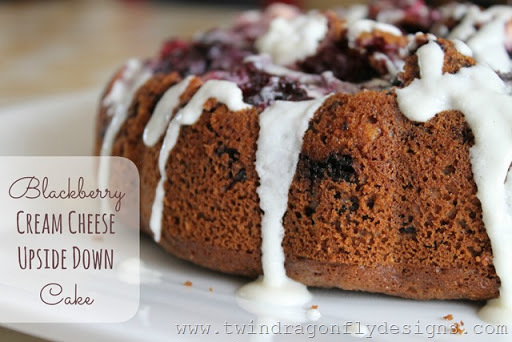 So I just went with it and called this delicious combination my Blackberry Cream Cheese Upside Down Cake. 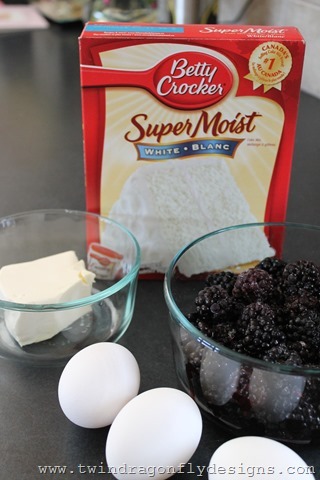 Combine the cake mix ingredients and add the blackberries. 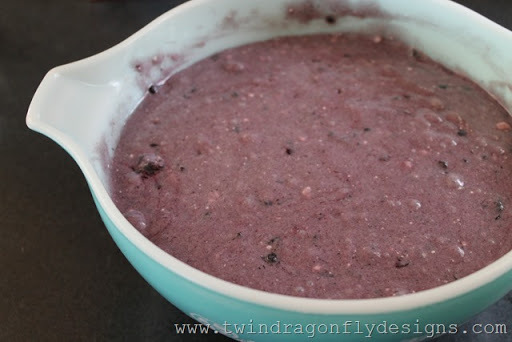 Layer the cake mix with little chunks of cream cheese. 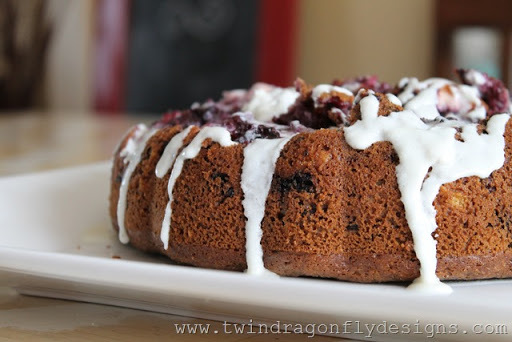 I would recommend using a round or square cake pan rather than a bundt pan. My cake stuck terribly to the bottom of the bundt pan. Be sure to grease your pan well and bake as directed on the cake mix box. Drizzle with icing and you are ready to serve!